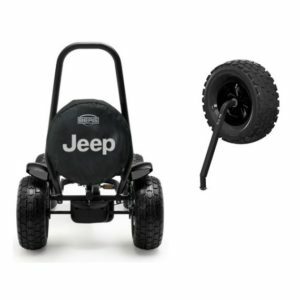 There is now a cool Off-road spare wheel for your big BERG go-kart. It will provide extra safety when you are out on the road and suddenly find yourself with a flat tyre. 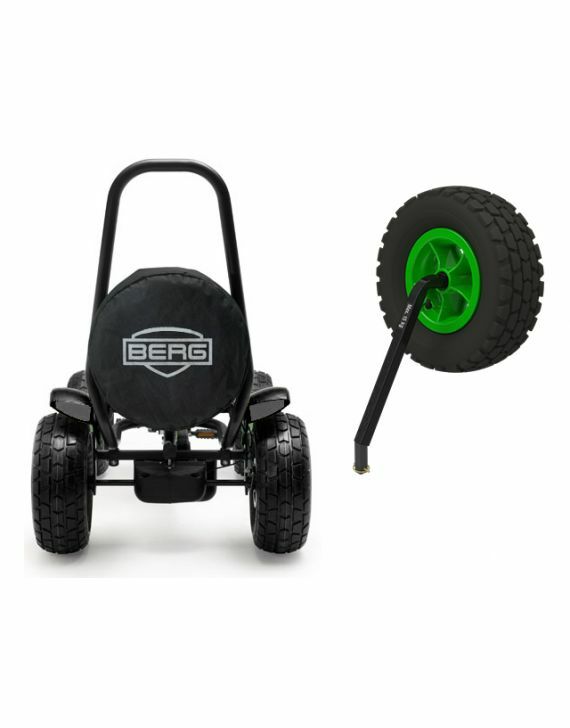 Or you might want to have one just because it looks really cool on your BERG go-kart. Please note that the spare wheel cannot be used in combination with a passenger seat.